Jayne Franchino's role as Chief Transformation Officer for the Data Center Group has her focused on continuing the momentum of the business unit's remarkable transformation. Her work includes improving the group's overall execution of key strategies for the business unit as they become another growth engine for Lenovo. Jayne is a senior technology leader with extensive experience in channels, supply chain, and overall operational efficiency. Her professional background includes developing partner ecosystems helping shift to higher value solution selling and increased profitability. She spent 18 years in executive roles at IBM where she led a global team that delivered a signature Business Partner experience through process, tool, and operational transformation. The team's success spanned the development of a consistent global training and certification programs to improved partner engagement through tools, programs and processes. 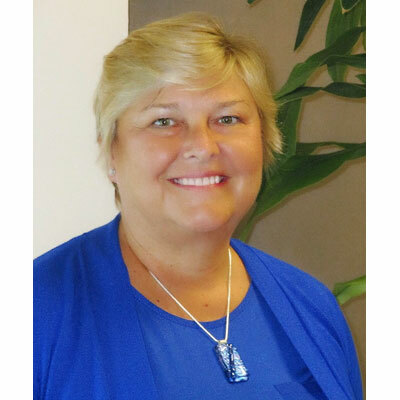 Jayne held various operations and transformation positions across IBM in Systems and Technology Group, Integrated Supply Chain, and the Global Business Partner (GBP) organization. In latter position, she was responsible for Enterprise Transformation Initiatives that supported IBM's Global Business Partners. For her outstanding accomplishments, she was honored as a "Women of the Channel" for five consecutive years by CRN, the most recent bestowed after joining Lenovo. In addition to her roles at Lenovo and IBM, Jayne held executive positions at Compaq Computer, where she was Senior Director of Americas' Business Planning and Customer Fulfillment, and at Apple Computer, where she was Senior Director, Worldwide Logistics. Jayne began her career with IBM after completing her college studies. Ms. Franchino received a Bachelor of Science degree in Industrial Management from Purdue University, and an MBA from The University of Vermont. As Chief Transformation Officer for Lenovo Data Center Group, I am accountable and focused on operational excellence in all that we do in engaging with our customers, business partners and employees. Our channel partners play an integral role in our success, so I am focused on providing them with an effortless experience by streamlining and simplifying our channel programs. We are committed to improving our speed to market, speed to price and speed to quote, and have converged multiple pricing tools into a single application to reduce cycle time and manual intervention. At Lenovo Data Center Group, we're committed to driving a much deeper and wider penetration within the SMB vertical in the year ahead. We recently ramped up our internal resources and have implemented programs that enable our channel partners to capture more share in the small and medium-sized business market. To do this, they need access to the latest innovative technologies in the market. By partnering with Lenovo, our channel partners have the ability to sign up with one data center vendor with an expansive product portfolio and select the right solution to meet any customer need. Additionally, our investments in the transformation of sales, marketing and supply chain are focused on delivering increased capabilities to be the premier trusted data center partner. Have confidence in your ability to achieve anything you feel passionate about and follow your dreams, even if they seem unattainable. Capitalize on all experiences and opportunities and don't to be afraid to explore new places. See mistakes made as a lesson learned and move on. Anticipate that you may end up following a different path than the one you are planning now, so be flexible and spirited; embrace this change in direction, should it present itself, and remember to celebrate life's successes with those close to you. With the growing use of design thinking as an approach to problem solving in the workplace, I would like to master the ability to visually map information in the form of diagrams and pictures. To be able to tell a story in this way, conceptualizing the outcome and having team members co-create and think outside of the box is a powerful skill and I see it as a key leadership attribute. On a personal level, it would enhance the feeling of a shared experience with my son who is a talented artist. It has to be "Extreme Ownership" by Jocko Willink and Leif Babin. The key takeaway from this book for me is the importance of trust between you as the leader and your team as you work together to accomplish defined goals. While you as leader own the outcome and cannot step away from the challenge, you should strive to inspire your team to take risks. For them to have confidence, you must have their back. Discipline, personal accountability and ownership will lead a team to accomplish a defined outcome and ultimately win. Winning is contagious!